Few industries evolve faster than digital marketing. And because marketing is vital for the success of any business, all other industries must keep up with its trends. 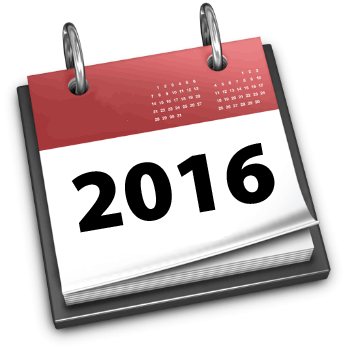 Expect 2016 to be an exciting year in the marketing world… here are a few changes to prepare for. Virtual Reality: AdAge tells us that virtual reality is about to become mainstream. Though we don’t yet know exactly what this will look like, it will certainly involve head-mounted displays! MediaPost explains, “VR will begin to generate revenue as major brands start re-investing content dollars in new types of VR content that can finally be experienced by the masses: VR headsets, mobile devices and social media.” Forbes reminds us that as digital marketing grows, so does business competition. Whatever content you publish must compete with seemingly infinite existing content. A benefit of virtual reality, a Forbes contributor tells us, is that it demands the viewer’s attention. Companies like Hulu and Facebook will be launching their own VR content in 2016. Wearable technology: The release of Apple Watch in April 2015 was just the beginning. Apple Watch 2 is expected in March 2016. A Phys.org article on wearable tech cites an IDC prediction that the worldwide wearable device market will reach 111.1 million units in 2016, up 44.4 percent from this year. Salesforce.com has made a number of predictions regarding marketing automation in 2016. One is that growth in content marketing will boost marketing automation success. Salesforce cites the Content Marketing Institute, which tells us 51% of B2B firms plan to increase spending on content marketing in 2016. It saves you time by allowing you to schedule posts to be published in the future. It helps you better understand your customers and build detailed profiles. It can help your business increase in revenue. This HubSpot article will assure you that the initial investment in the software is worth it! ClickZ tells us that Snapchat will become a standard marketing platform. Even the 2016 presidential candidates are using it to connect with voters. It’s time to start reaching your target consumers on this application. Stay tuned for a future Virtanza for You blog post on Snapchat marketing tips, and Happy New Year!